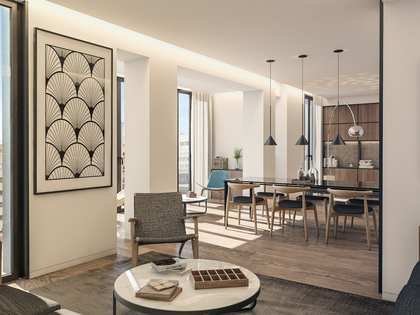 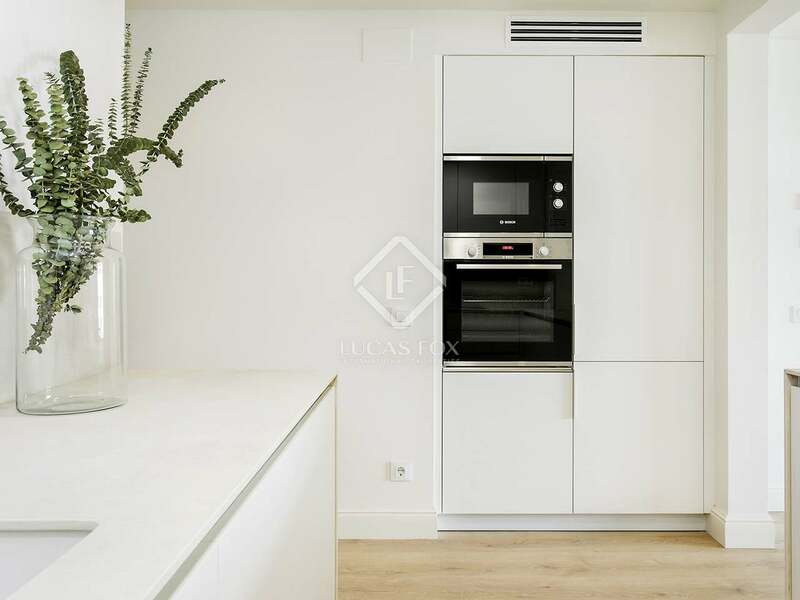 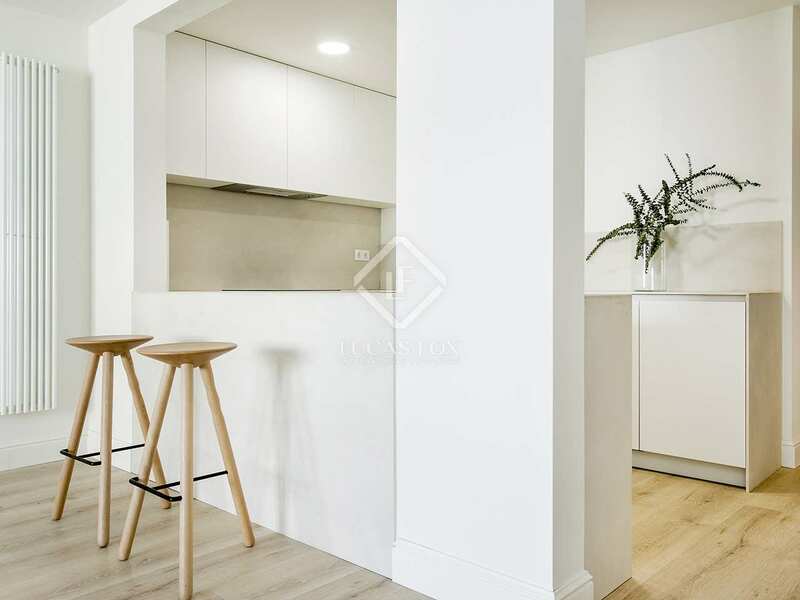 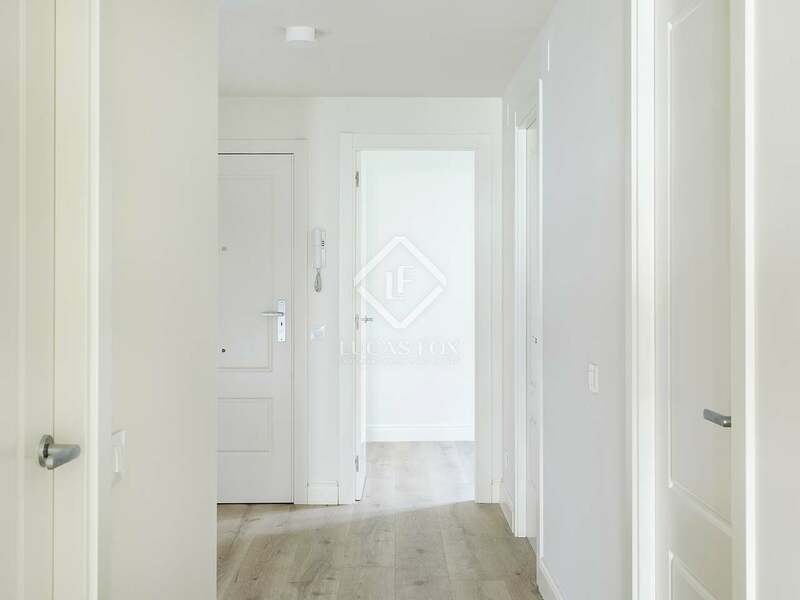 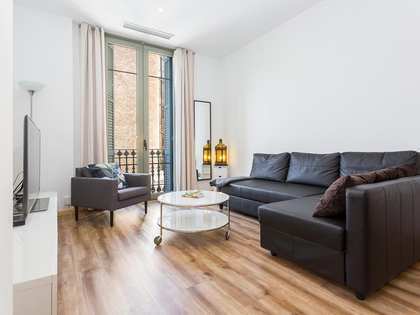 This beautiful apartment, renovated to the highest of standards, is located on Rambla de Catalunya, in the heart of Barcelona's 'Golden Square'. 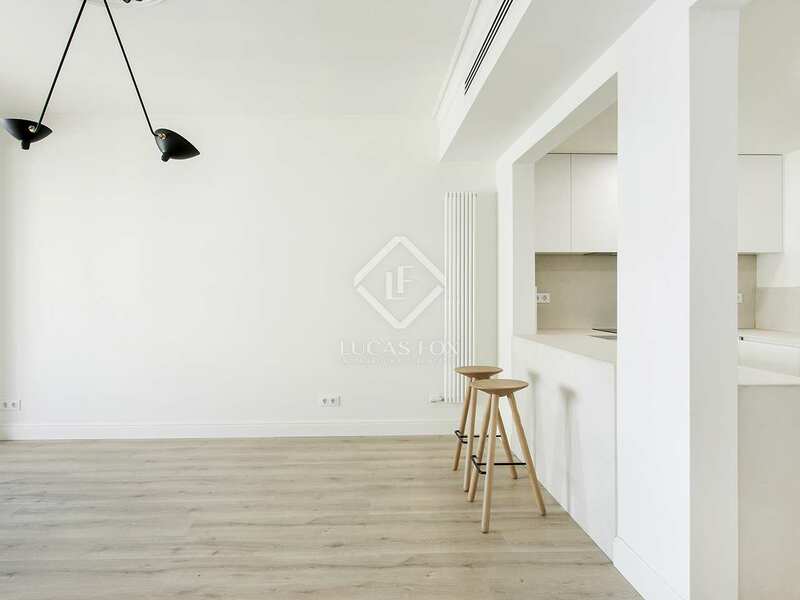 The apartment is on one of the highest floors within a modernist building and therefore enjoys abundant light. 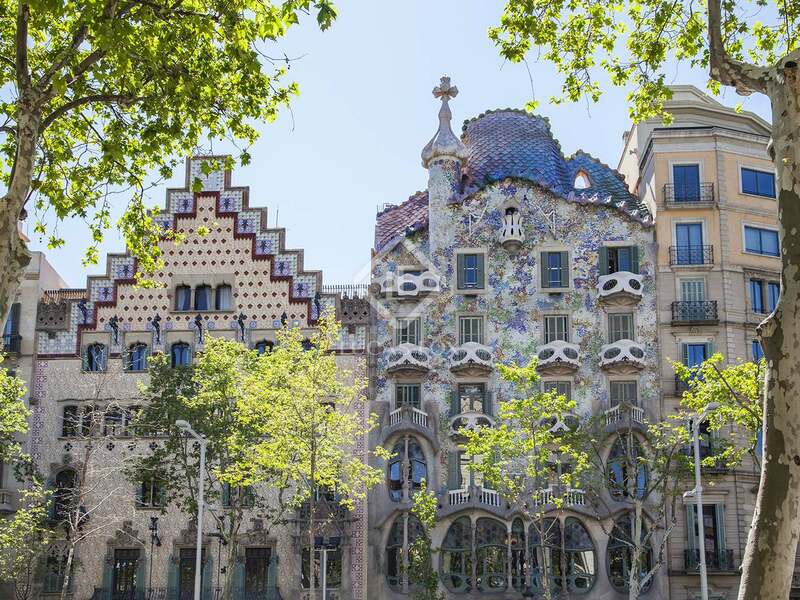 In addition, the building has a beautiful entrance and faces a lovely, bright courtyard. 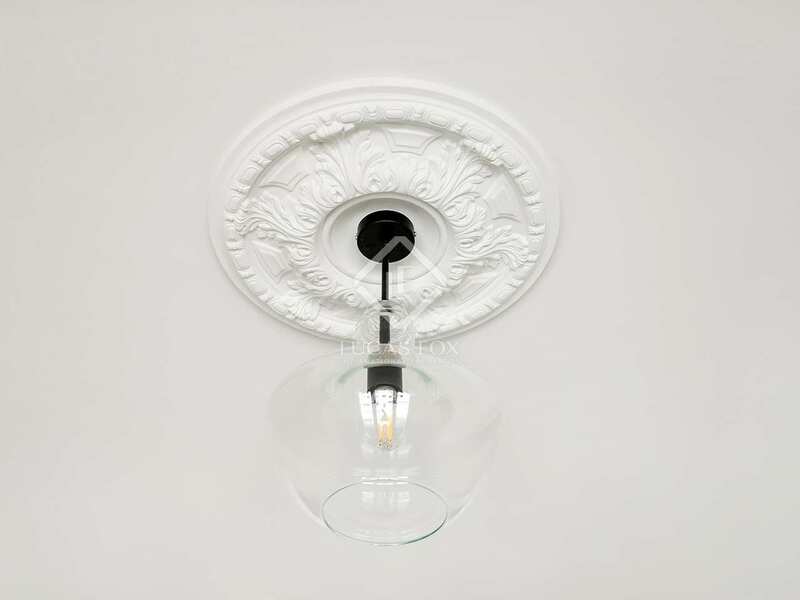 Some modernist features have been preserved, such as the beautiful moldings on the ceiling. 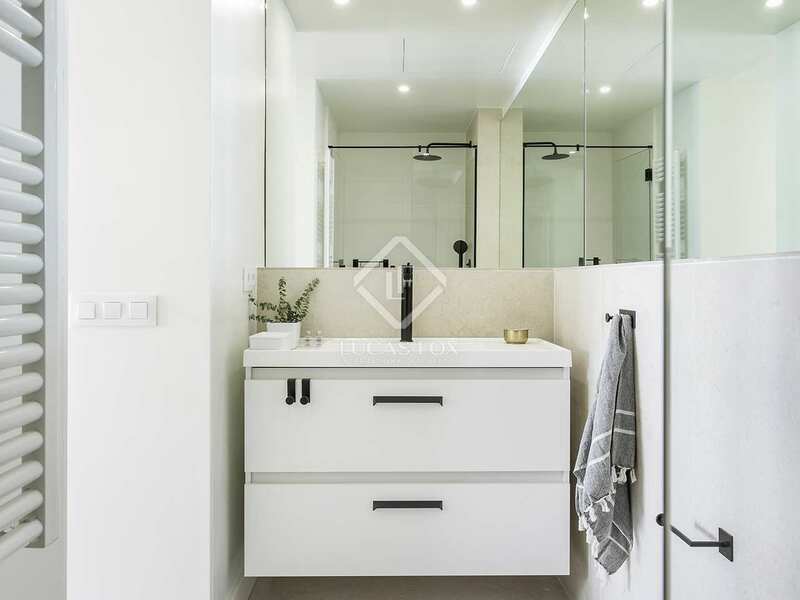 Light and natural tones predominate, combining with darker elements to create a modern contrast. 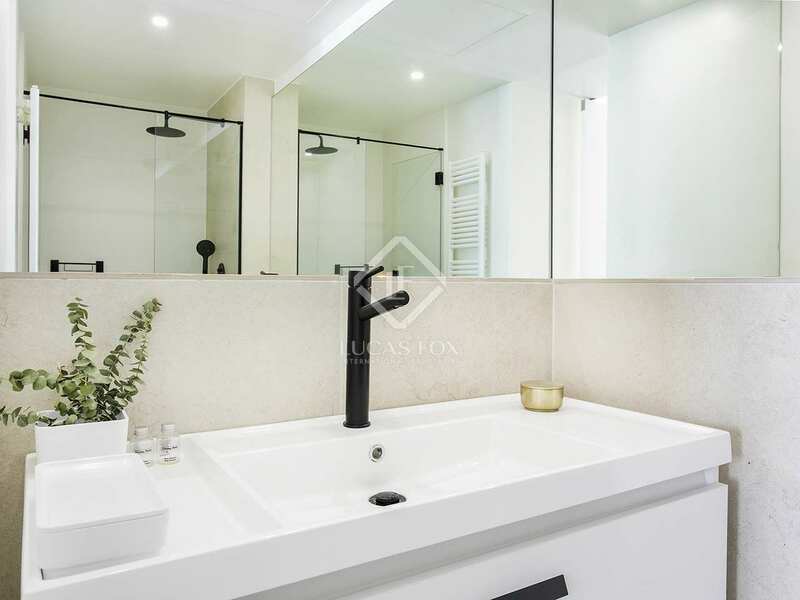 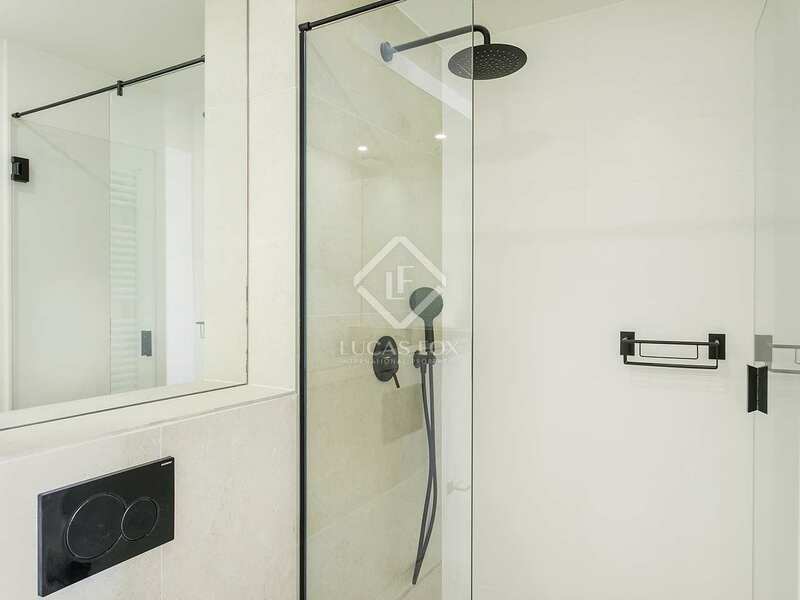 On entering the apartment we find 2 bedrooms overlooking the bright interior courtyard, one double and one single which share a bathroom with a bathtub. 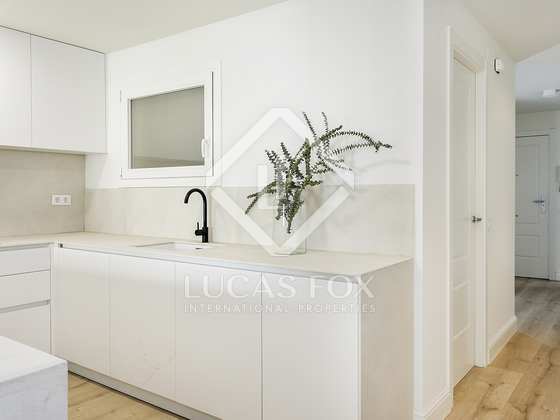 Next we find the open kitchen with a breakfast bar and fully equipped with Bosh appliances. 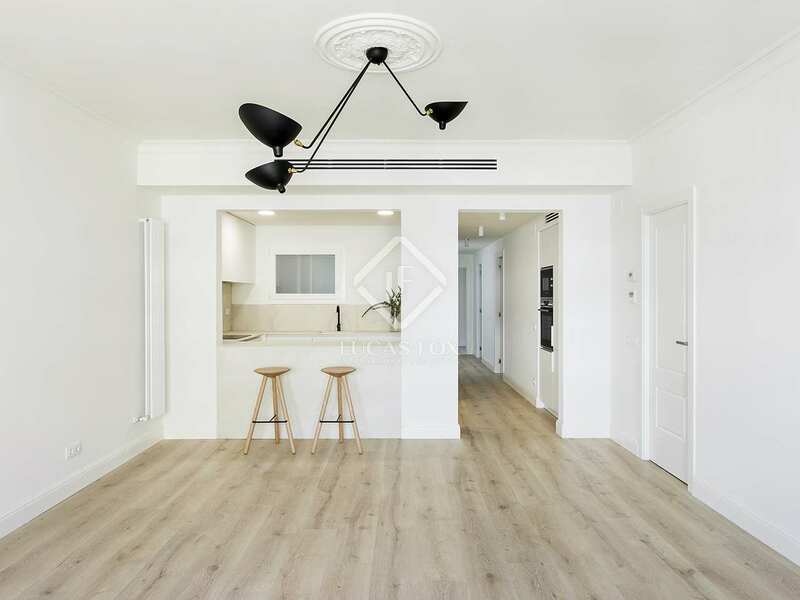 The kitchen is open to the living-dining room, a space brimming with natural light and which faces onto the courtyard. There is also a convenient utility area next to the kitchen. 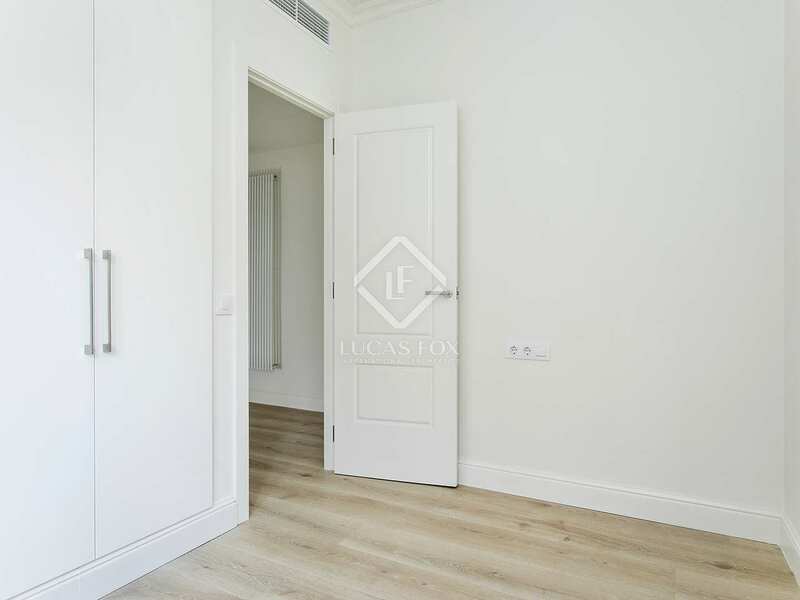 To the left of the apartment is the beautiful master bedroom with en-suite bathroom with a shower, also facing the courtyard. 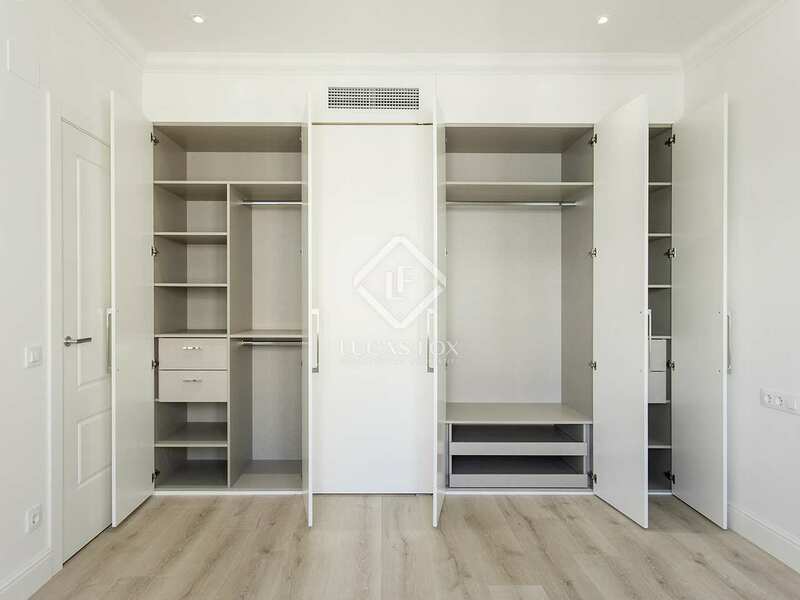 This bedroom has a large built-in wardrobe to maximise the available space. 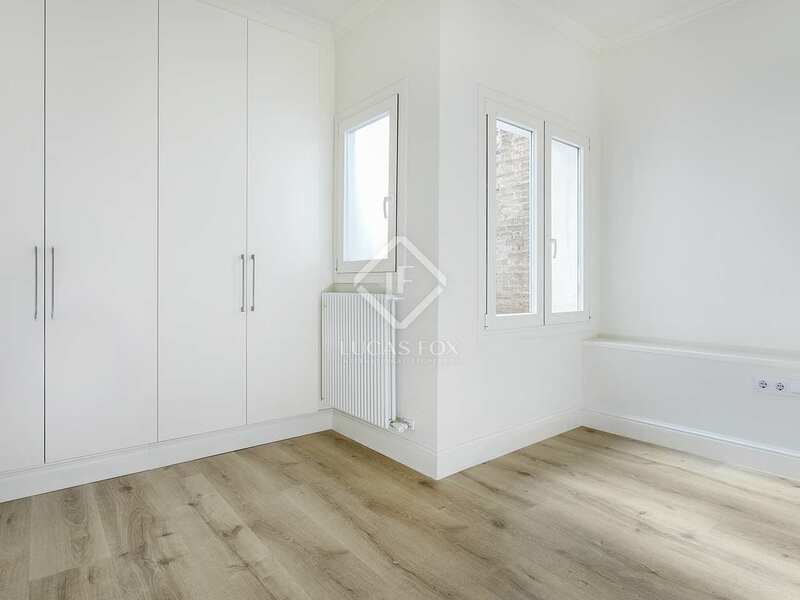 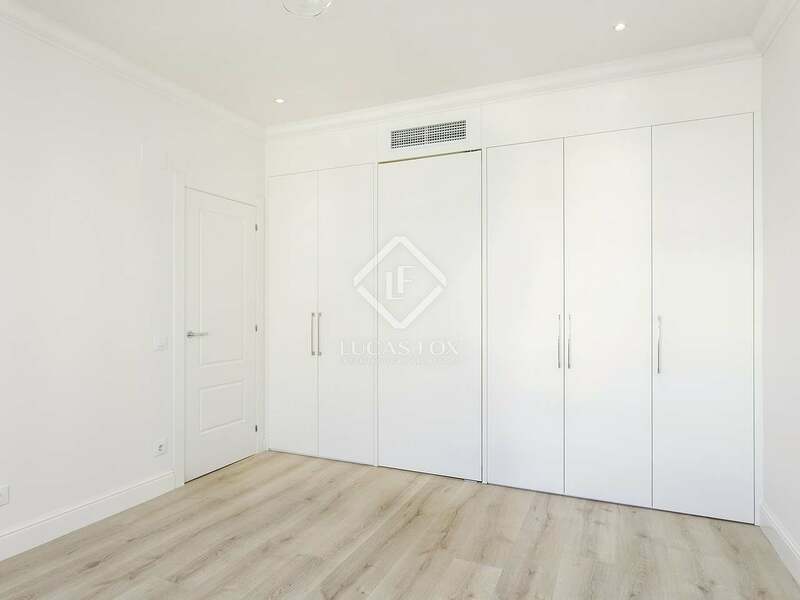 The apartment benefits from wooden floors and all bedrooms have fitted wardrobes to increase storage space. 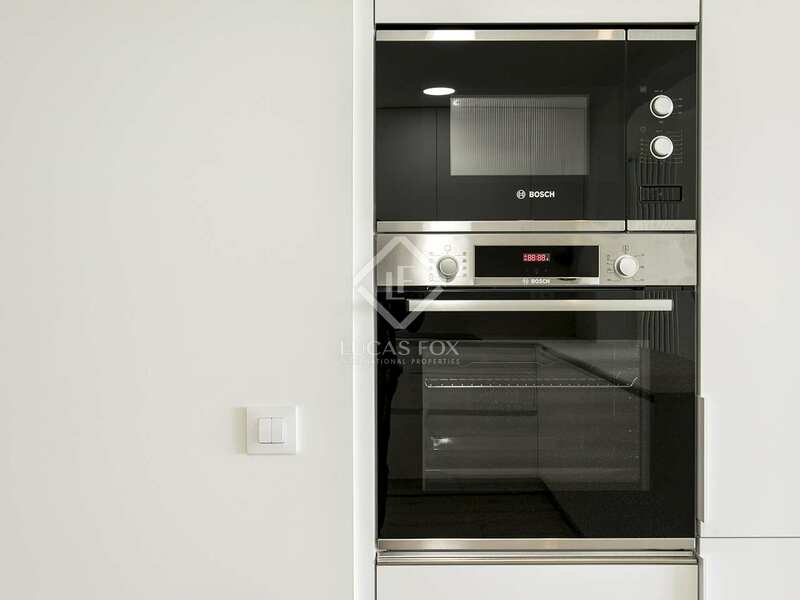 In addition, it is equipped with hot and cold air ducts controlled by thermostat, and gas radiators to ensure comfort throughout the year. 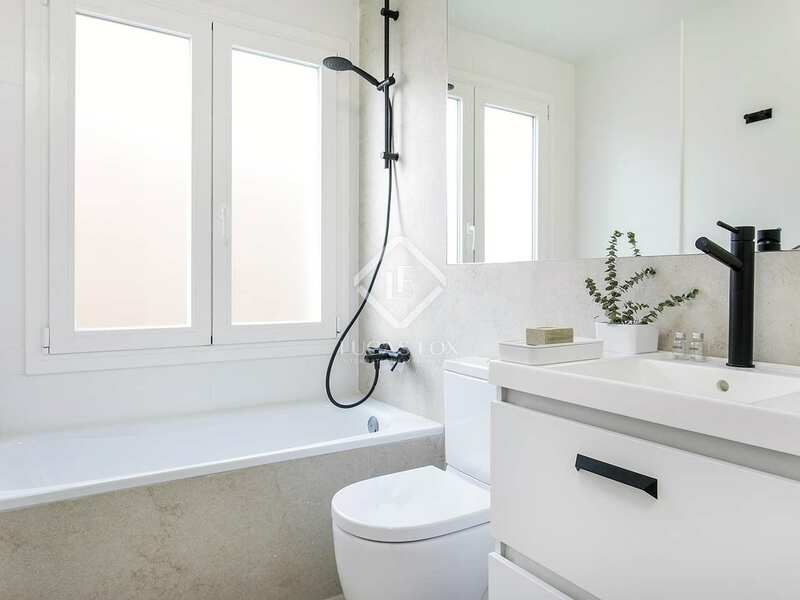 The bathrooms have Geberit fittings. 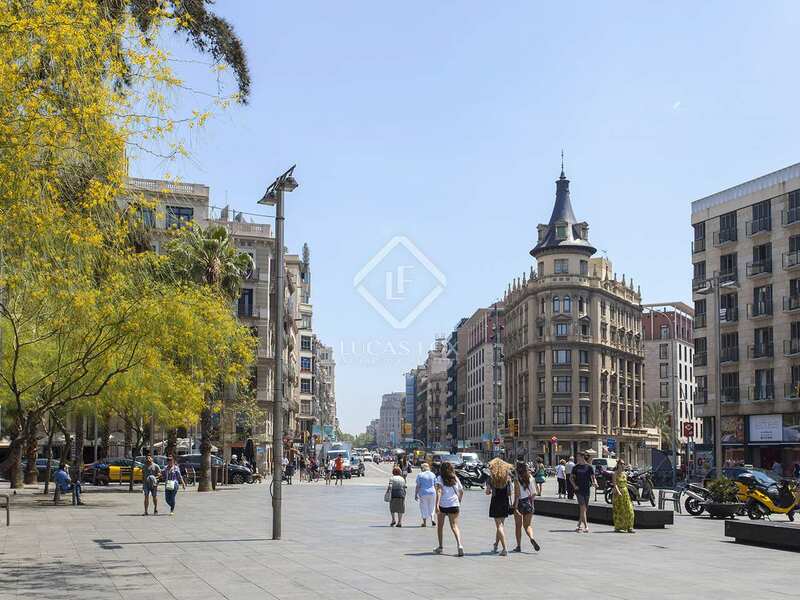 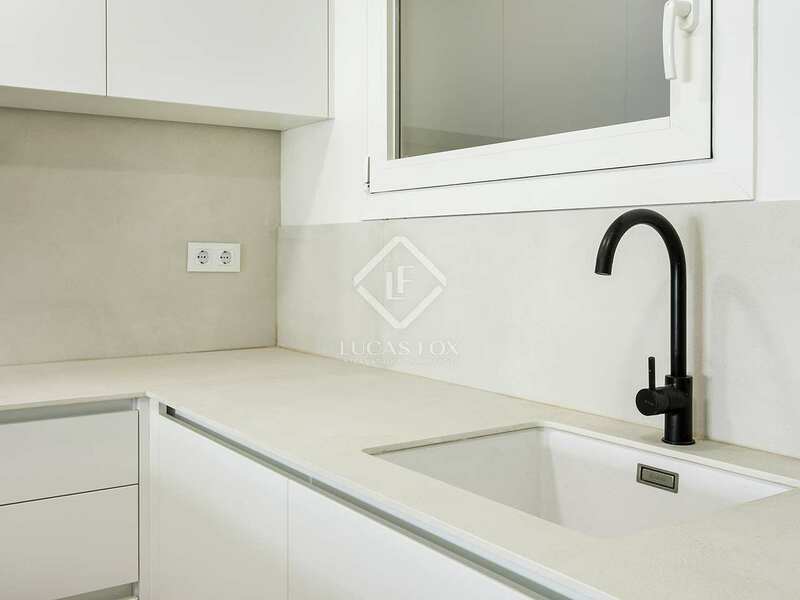 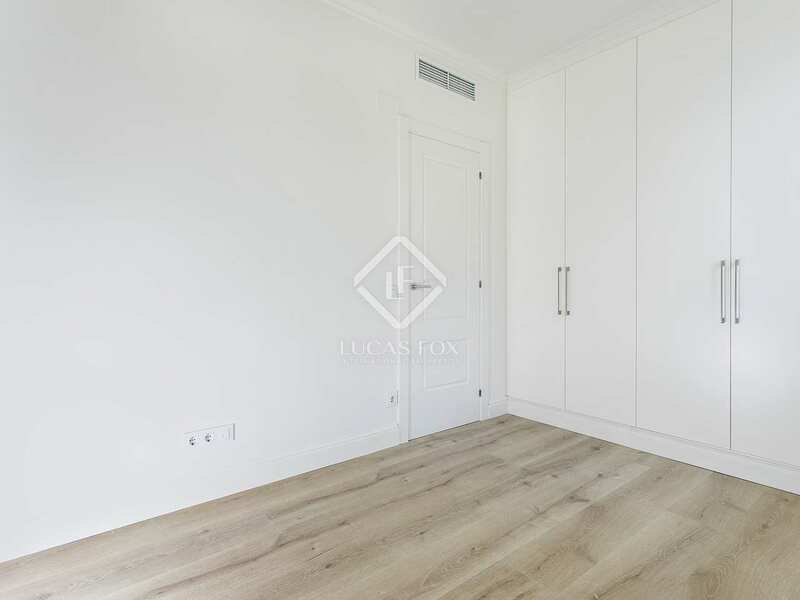 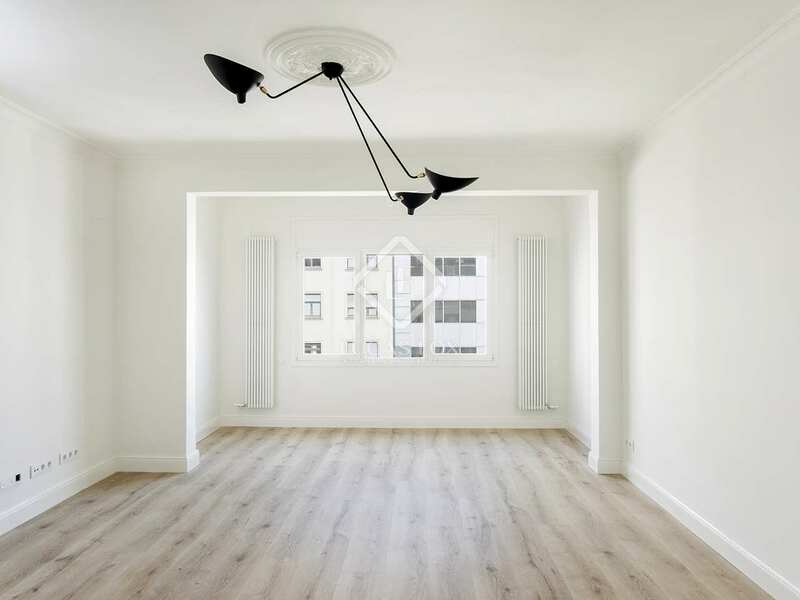 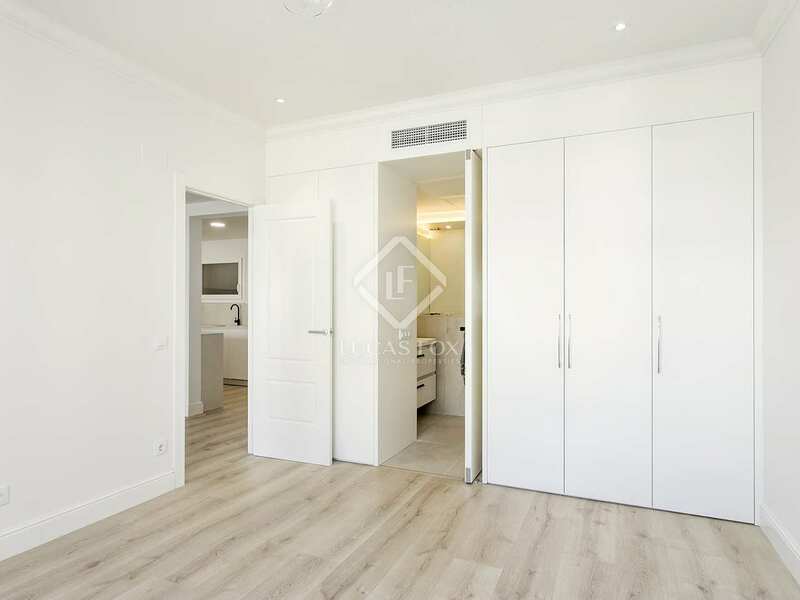 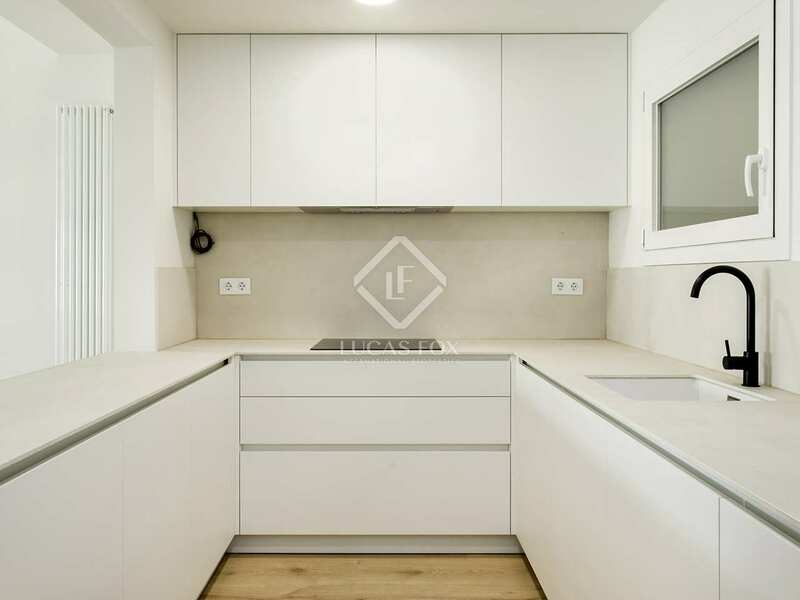 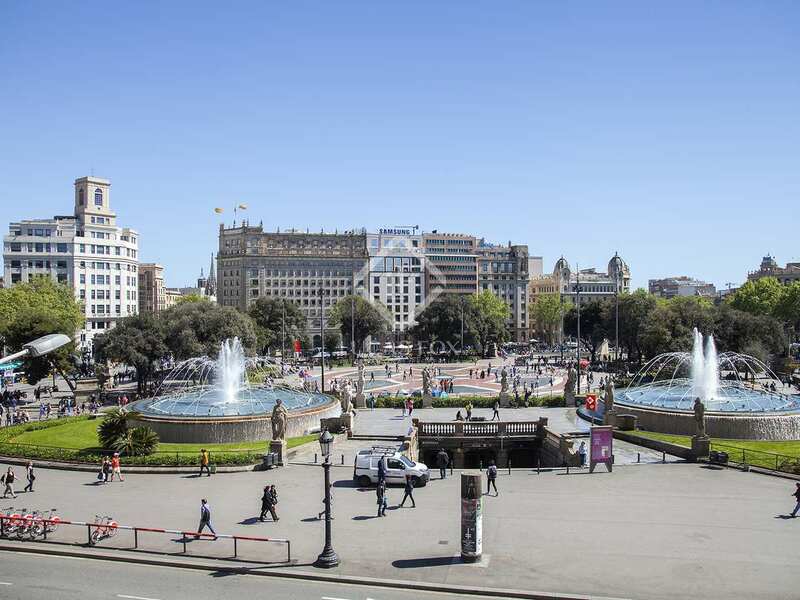 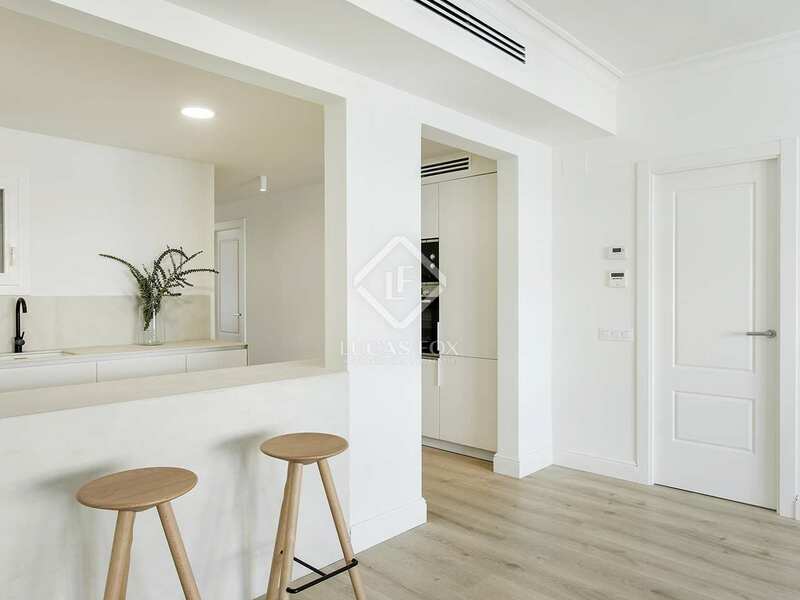 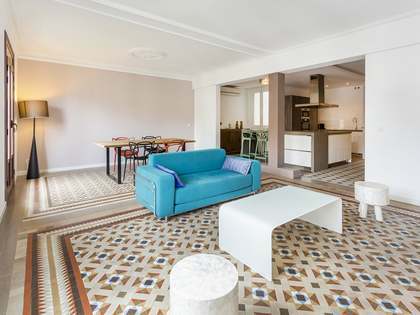 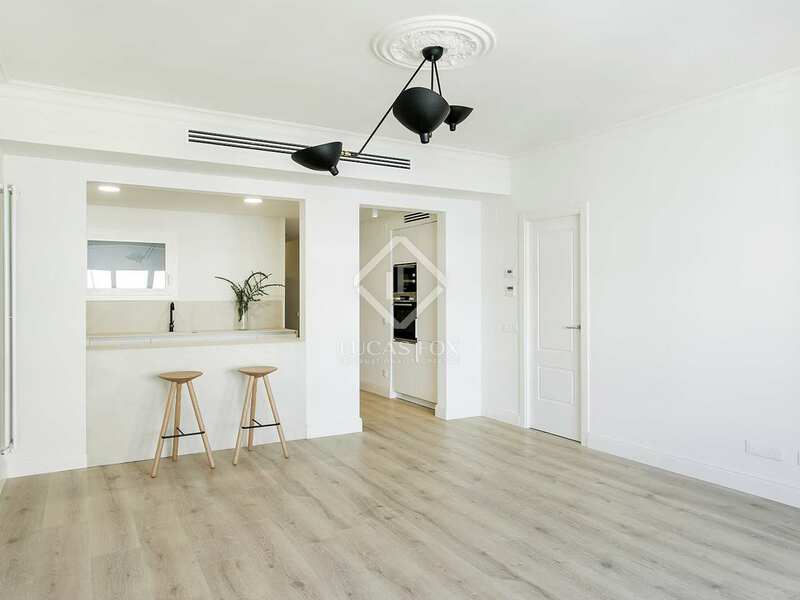 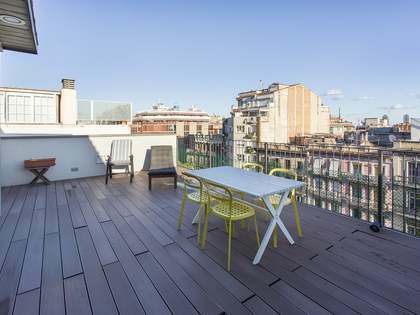 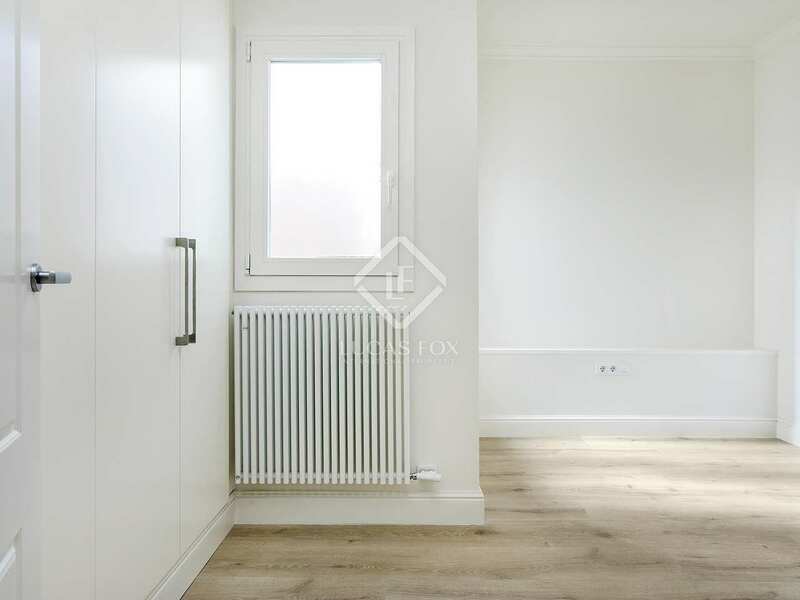 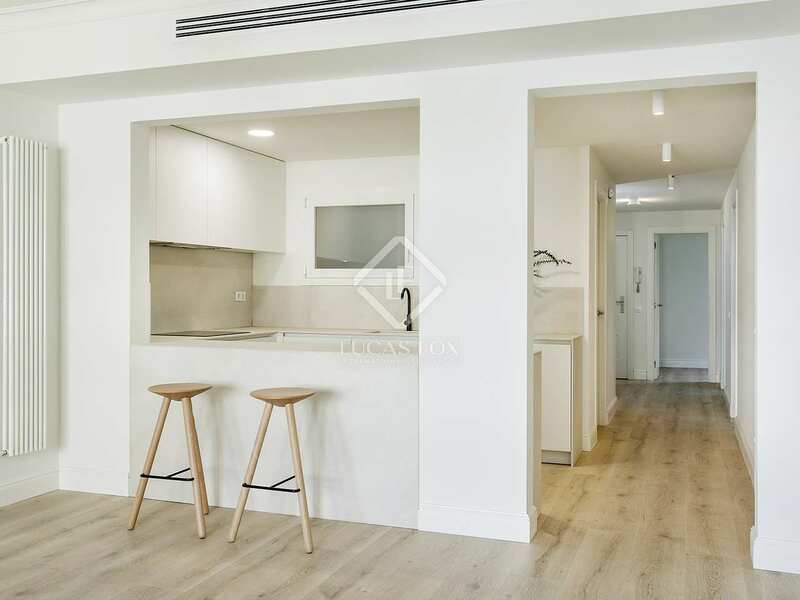 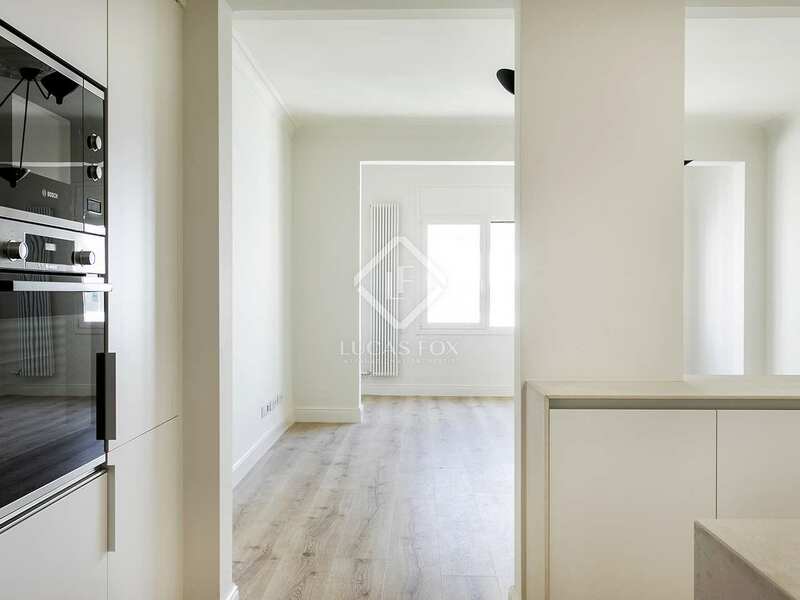 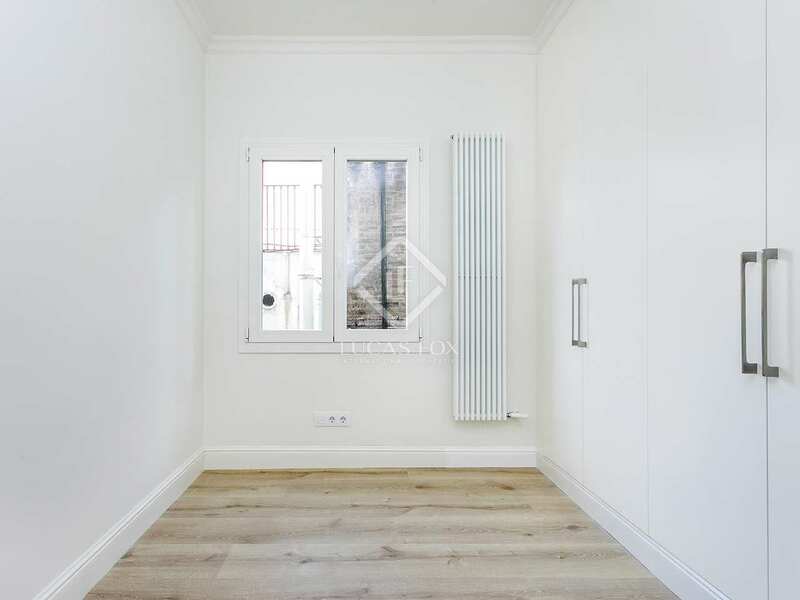 Contact us to visit this fantastic renovated apartment on Rambla de Catalunya. 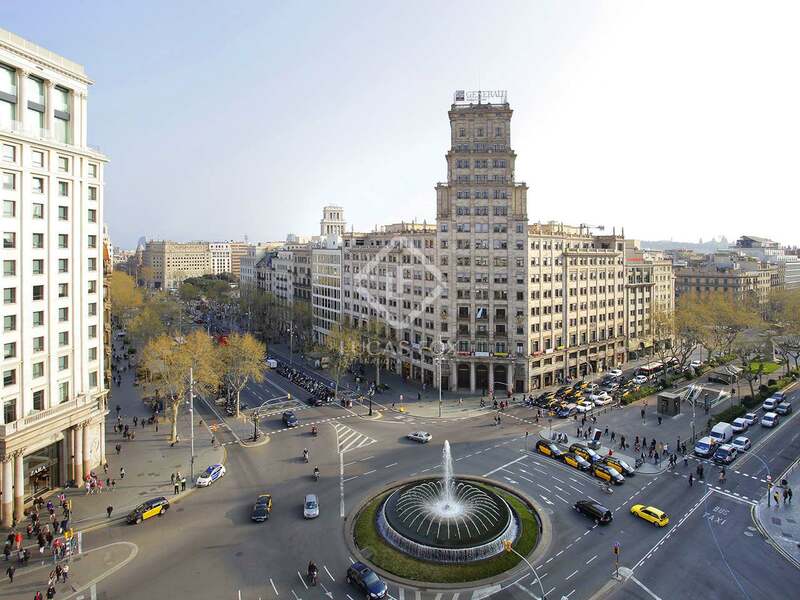 Property located in on Rambla de Catalunya, next to Passeig de Gracia, the best-known commercial avenue in Barcelona. 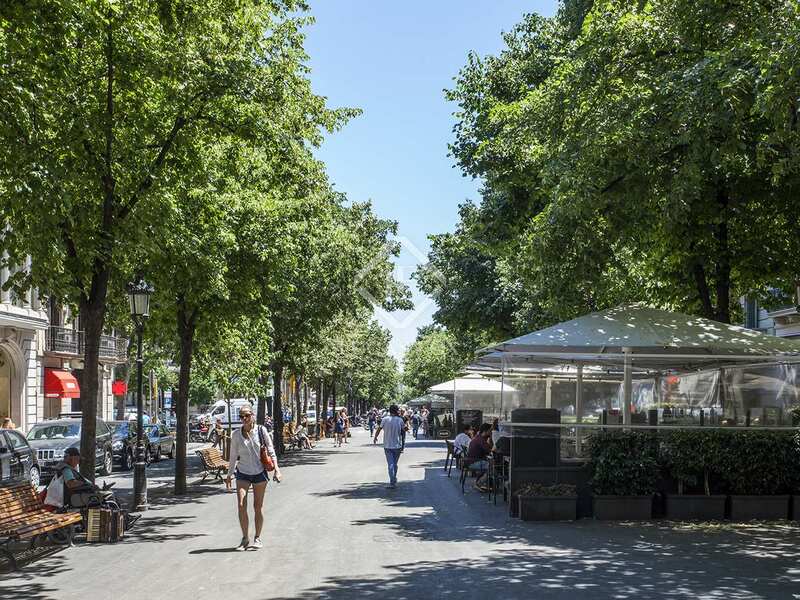 The neighbourhood boasts many beautiful buildings of exquisite modernist architecture, excellent restaurants and bars and fashion boutiques: an area known as the Golden Square. 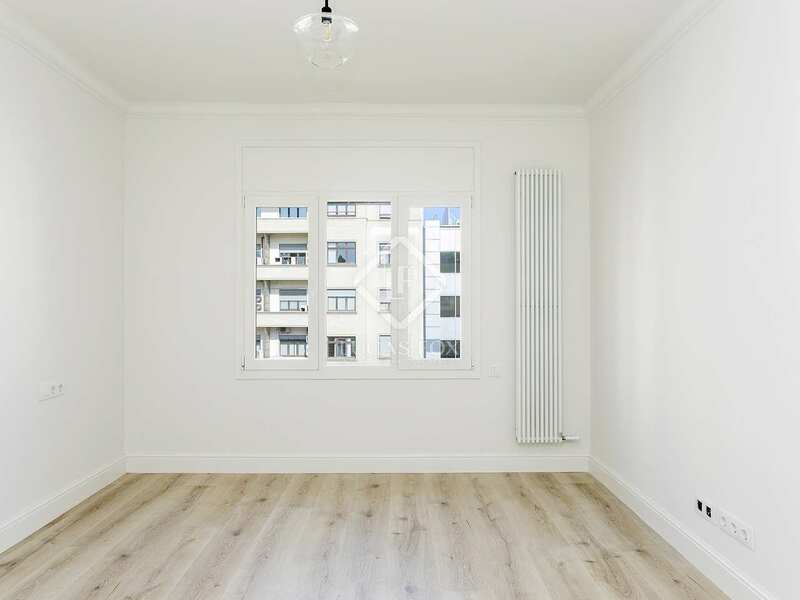 As well as offering all these services and amenities, the neighbourhood has supermarkets, pharmacies, schools, etc. 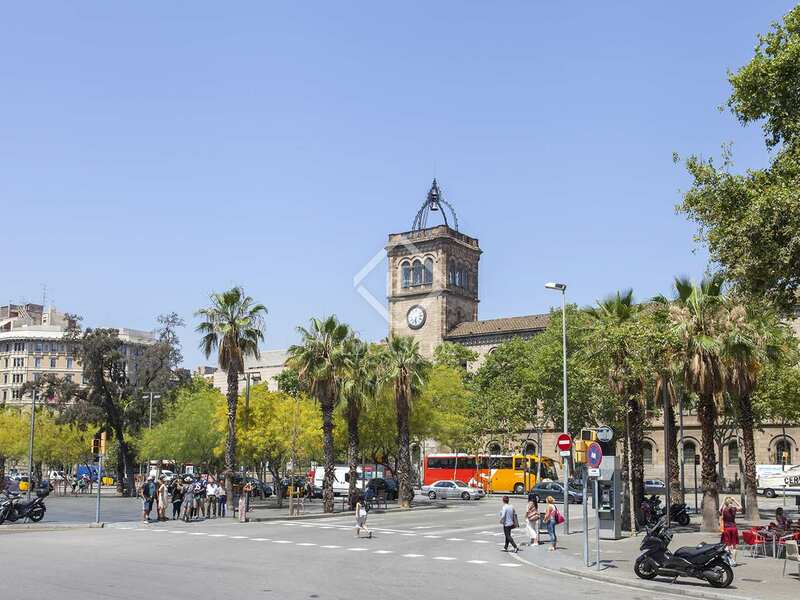 Public transport connections are also excllent.